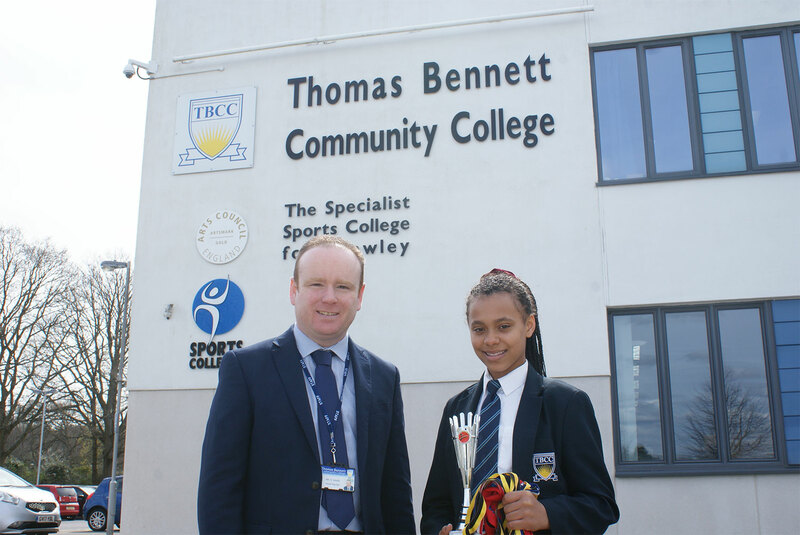 At just 12 years old, Keira Austin a student at Thomas Bennett Community College has been making the School proud with her incredible Karate achievements. Keira was just 7 years of age when she started her karate classes and within a year, she had already won her first competition coming first in weapons, second in sparring and first in kata. Keira’s passion and dedication to the sport has most recently taken her to Ireland where she participated in an international fighting competition with over 4,000 participants from all over the world. During the lead up to the competition Keira was training on a daily basis totalling to approx. 13 hours a week. In November Keira will enter another major competition in Blackpool, which if she is to win, will place her in the England national team. For this competition Keira’s Mum is hoping to gain a strong sponsorship to help with expenses as well as recognition from prestigious fighting organisations which will put Keira on to an even stronger path. All of this experience and the national competitions Keira has entered are helping to move her up the ladder and pursue her final goal of becoming a professional fighter in the Olympics. Alongside all of this, Keira is now taking part in Brazilian Jiu Jitsu classes which she attends for 2 hours a week. Keira hopes that learning another style of fighting will assist her as she becomes older in becoming fully flexible and able to take part in many different types of competitions and tournaments whether it be karate or wrestling.